Mimi DeBlasio created this 24k gold Scarecrow Medallion as a memento of the brand’s inaugural release. Originally intended as an amulet for family members only, the requests by so many others have inspired production of this collection, now made available for special order online. 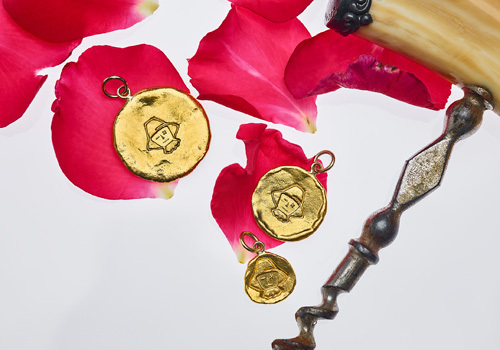 The medallions are available in three sizes, and each piece is stamped with 24k, and Mimi’s maker’s mark. Each item is hand made, therefore gram weight may vary slightly from piece to piece.